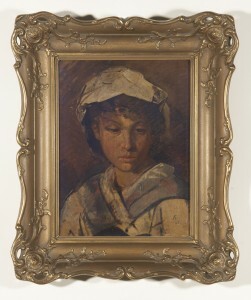 Anselm Feuerbach, Head of a Girl, 19th Century. This portrait came to LBI as a gift from the heirs of a Jewish furrier in Leipzig, whose art collection was confiscated by the Nazis before being restituted to the family of Sigmund and Erna Fein in 2005. Tuesday, October 4, 2011 6:30pm Leo Baeck Institute and the American Council on Germany present a panel featuring three experts that represent a wide-range of domestic and international interests in connection with the recovery of Nazi-looted art. Monica Dugot, Senior Vice President and International Director of Restitution at Christie’s in New York, Lawrence M. Kaye, Partner and Co-chair at Herrick, Feinstein, LLP, New York, and Claudia von Selle, Attorney at Zschunke in Berlin/Paris, will discuss recent developments regarding litigation and repatriation of looted art, including the complex challenges presented by the circulation of these objects in the art market, mainly in the United States.